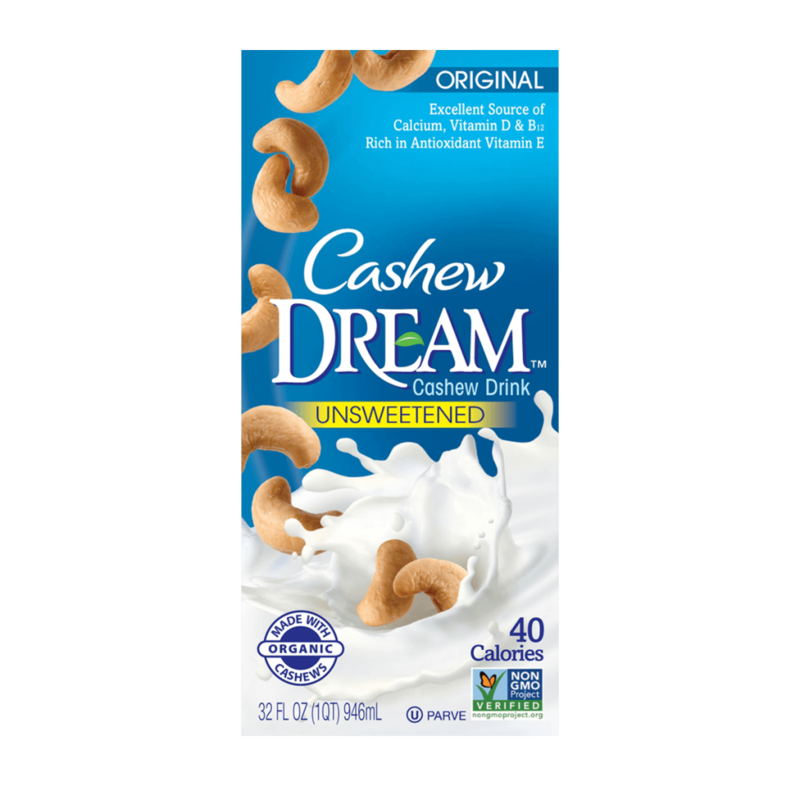 With a delightfully nutty and creamy flavor, Cashew DREAM™ Unsweetened Cashew Drink is a refreshing alternative to dairy. 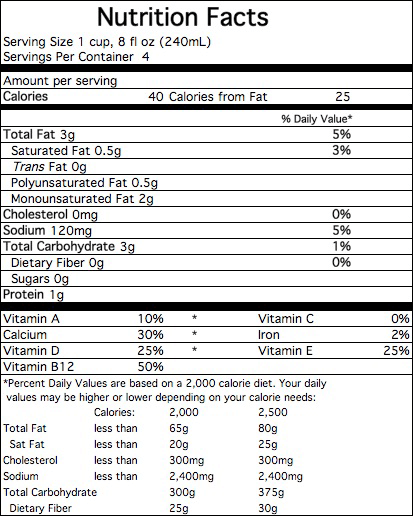 It packs a lot of cashew taste – but only 40 calories and 0g of sugar – into each serving. Delicious poured over cereal or in coffee and tea, it’s also the perfect start for a revitalizing cashew smoothie. Want to learn more about the benefits of Cashew DREAM™ and our other products? FILTERED WATER, ORGANIC CASHEW BUTTER, ORGANIC TAPIOCA STARCH, CALCIUM CARBONATE, SEA SALT, GELLAN GUM, NATURAL FLAVORS, SUNFLOWER LECITHIN, DIPOTASSIUM PHOSPHATE, GUM ACACIA, XANTHAN GUM, VITAMIN E (D-ALPHA TOCOPHERYL ACETATE), VITAMIN A PALMITATE, VITAMIN D2, VITAMIN B12.